PS: never did figure out why the RNZAF museum couldn't have picked the stuff up from the island years ago for a future display? Alan. Have not managed to go through the albums yet but Don Subrizky tells me he has a port tailplane with attachment bolts looking for a Sunderland that needs one. Also I remember going to Coromandel, on the righthand side of the road in a paddock was a Sunderland float. i believe the farm was that of Des Darling. Don't know if its still there. There used to be a Sunderland float behind a hangar at North Shore (Dairy Flat) in 2005. Or maybe a Solent? I think there was a Sunderland float in the RNZAF Museum store at Weedons when I was there back in the 80s. This was at Nukunono in the Tokelau Group. She was a survivor!!!! Actually they did have some parts on display if I recall correctly. Engineers station maybe? It was upstairs (pre-renovation) with the artworks and the Vildebeeste fuselage on display. Yes there was upstairs, some time ago - almost hidden away - the remains of the instrument panel. Plus I think, some minor small bits and pieces if I recall. Neat photos there Norm, thanks for posting that link. This was on coral reef Nukunono Lagoon, Tokelau Islands, 24Aug55. Thanks heaps for that link. Did you post those photos yourself Norm? I was at 'The Bay' in the Electrical Section at that time and I 'aquired' them from a friend in the Photograghic Section. I have a few more covering the official 'Thank You' ceremony at Nukunono. Can scan them if required. The handmade 'Pirate' flag which is in one of the pics was frowned on back at Laucala Bay but the name Nukunono Baby remained on her for a while. (Edit) Re-read your post - Yes the photobucket link is mine, strange name for one of my dogs eh!! I just happened upon an old copy of Memories magazine from 1999 (edition 21 I think) and in it was a photo of Norm Kirk on a visit to the Chathams. It shows Norm inspecting a vehicle which looks very Mini Mokeish in style but the caption says it was made by two brothers using parts from the Sunderland crash. It certainly looks like the doors could have come from the aircraft as well as windows. The vehicle was registered and in the photo the DH62 on the plate can be seen. Perhaps a trawl on carjam.co.nz might turn up something. The hapless NZ4111 appears to migrate further up the beach over time, and to become less and less complete. If you chase around the website a bit there are pics of Canberras, Argosies and a Freighter on the Islands as well. Super photos there agile. I think Don Armitage used to belong to this forum, I have certainly corresponded with him before. So was that sequence of the Sunderland alighting the actual incident where it bottomed out? It doesn't look too damaged in the photos till it's being beached. I don't think so, as two of the photos of the alighting sequence show a squadron code 'L', whereas the first photo of the aircraft on the beach appears to show 'K'. Good morning folks - I served apprentiship at Shorts Belfast on Sunderlands etc. - from 1952 -1958 - this inc the CONVERSION - from a std. MK V to the RNZAF spec. - the RNZAF boats are not std. MK V - as anyone who ever worked on them or flew them would know . We ripped out the radio operators timber table / bulkhead + R1155 / T1154 - and retrofitted with modern remote pilot operated Collins U.S.A. H.F. + V.H.F. T/R s - mounted in modern a.a. rack out system - from memory the radar ops. stn. was left as was the flight engineers and nav stn. We also fitted 2 x D.F. loops + 2 x H.F. antennae masts - you can see them in yr shots - a std MK V has only one of each - see the shots of the 2 x R.A.F. MK V in U.K.
Also the 2 x doors had slots cut in them for axe + fire extinguisher . There were no other Sunderlands modernized like the R.N.Z.A.F. 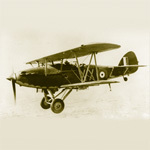 ones - even the later French fleet air arm ones were only o/h as std. They were and are always referred to as , flying boats - not planes - and the 1st + 2nd pilot sat on a flightdeck - not a cockpit - recommend you read Ivan Southalls great book - The 3rd Pilot . We also o/h some storage Solents for T.E.A.L. - if you inspect the Solent / Sunderland MK V+ at M.O.T. - AUCKLAND - you will realize there are no components interchangeable inc. floats - so to mix them up is a bit odd . TRUST THE ABOVE IS ACCEPTED AS CONSTRUCTIVE - THANX FOR YR GREAT SHOTS- J.C. I hope that guy T.C. who loved cutting up warbirds like the mighty Sunderland - has his airframe cut up by now ! I have lots of shots - so pls ask if i can help - I am in Sydney - R.N.Z.A.F. were my customer for aircraft eqpt. for many yrs. There was a guy on another forum who was trying to refurb the M.O.T. Sunderland - but i can't find him to assist - if you know him pls tell him . This is great info J.C. Welcome to the forum. I expect that Alan Willoughby (Alanw) can put you in touch with the chap you need to talk with at MOTAT. I have lots of shots - so pls ask if i can help . Yes - yes - and just in case you misunderstand, Yes. Any info on the conversions and and photos that you post here will be very much appreciated. Isn't it amazing what happens when you post a message on another forum (PPRuNe) about Sunderlands, along with a link back to this thread, and people who click on that link join this group and come up with all sorts of interesting info and offers of help! Isn't the internet great, eh? Travel journalist Jim Eagles has recently visited the Chatham Islands and has written a series of travel articles about his visit. The New Zealand Herald has been gradually publishing the articles in their regular travel supplements, and the article published today is about the Chatham Islands Sunderland flying-boat. The article is accompanied by two photographs, one showing the remains of the foward fuselage (including the cockpit), and the other a historic colour photograph of the Sunderland being hauled ashore in 1959. The article hasn't yet appeared on The New Zealand Herald's website (although two of the other Chatham Islands articles by Jim Eagles have), but they tend to not upload travel articles to their website until a couple of days after they appear in print, anyway, so hopefully it should appear online within a couple of days.